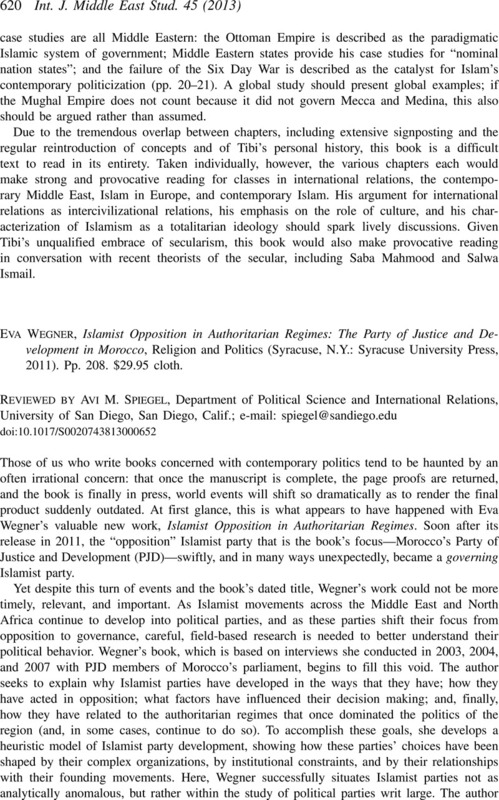 Eva Wegner, Islamist Opposition in Authoritarian Regimes: The Party of Justice and Development in Morocco, Religion and Politics (Syracuse, N.Y.: Syracuse University Press, 2011). Pp. 208. $29.95 cloth.